It’s no secret that nonprofit businesses, and the dedicated employees involved, are an important part of our society. However, often times, the demanding hours and stress of working to further a social cause can quickly lead to employee burnout. Fortunately, there are several ways to prevent this from happening and to keep your employees engaged and enthusiastic about their job. Here are a few effective tips on avoiding employee burnout at your nonprofit business. You’ve probably heard the common phrase “you can never over-communicate.” When it comes to your nonprofit business, this phrase is certainly true. It’s extremely important to frequently communicate with your employees at all times. When you get to know them personally, this not only makes them feel more valued, but also allows them to easily discuss any problems, which can then be quickly resolved. So, check up on them continuously, ask how they are doing, how their workload is, what could be done to make them feel more comfortable, and so forth. And, having an open-door policy to allow your employees to consult with you at all times on their current thoughts is another wise step to take. Your ultimate goal is to make your employees feel comfortable with talking to you, and for them to recognize that you care about them and their success. This will lead to more productivity and eliminate issues. Even with smaller things, like expectations before and after a vacation, it’s still incredibly helpful to discuss them. Always remember, you can never over-communicate. As just mentioned before, you can never over-communicate. So, to avoid any issues and confusion, be sure your employees know what exactly is expected of them. Give each team member a clear set of tasks, ensure that they are happy with those tasks, and try to align their duties with their strengths. Also, avoid overloading your employees. Putting too much on an employee’s plate is a recipe for employee burnout. That’s where planning and defining reasonable roles comes into play to eliminate this issue. Overall, doing so will provide much needed clarity and prevent any additional confusion and stress. Teamwork makes the dream work, right? So, make sure your employees understand that they are all an important part of a team, and treat them as such! Encourage the notion that each and every success is a shared success and allow your employees to always offer their input and ideas on decisions to further this positive, collaborative atmosphere. It’s also helpful to establish a sense of community outside of the workplace. Take your employees out to lunch or coffee, or plan fun group activities. In other words, try to maintain a culture of collaboration, unity, transparency, and positivity. This will not only make the work environment more fun and productive, but it will also prevent employee burnout. Your employees are your most valuable assets. So, it’s important to keep them well taken care of. One way to do this is simply to promote self-care. Encourage your team members to take time off, whether it’s a sick day or a vacation day. Make sure they understand that you care about their overall health, and lead by example by remembering to take time off for yourself, too. Also, remind them that work should be left in the office and that it shouldn’t interfere with other aspects of their life. Instead, encourage them to relax or take up a hobby once they leave work. Ultimately, create a culture where your employees’ mental and physical health are a top priority. Not only will this result in your employees feeling more valued, but higher productivity and a lower risk of employee burnout. You want to keep your employees content, right? Well, then give them many reasons to stay! One highly effective way to retaining employees is by offering competitive benefits. Such perks could be highly appealing to prospective employees as well as your current employees, influencing them to desire to continue enjoying these benefits. Perhaps you could offer unlimited sick days, weekly trainings and workshops, free gym memberships, or free coffee and tea. Or a favored less expensive option is simply flexible work schedules. The different options are limitless, but be sure to reward your employees with at least a few. Let Us Help You Further Enhance Your Nonprofit Business! 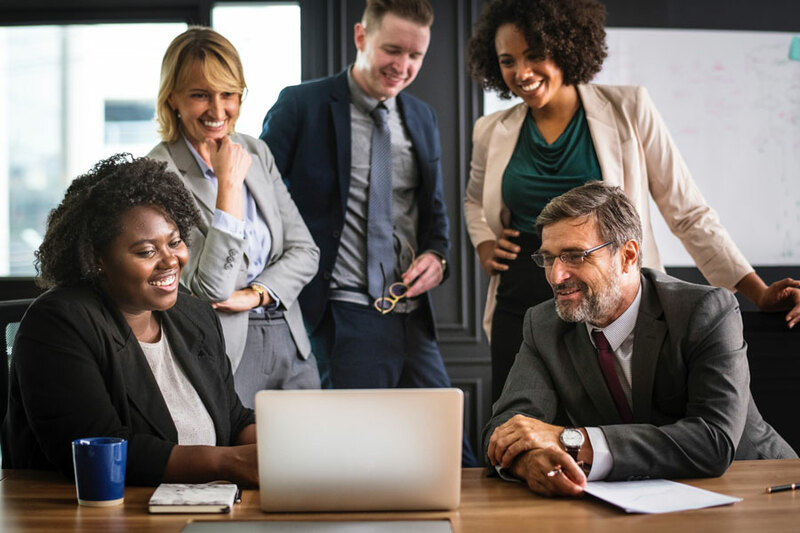 At Capital Business Solutions, we are committed to providing exceptional accounting software and consulting services to optimize and further your nonprofit. We can help you achieve your goals through customized designs, ongoing support, software solutions, and so much more. To discover how our team can individually help your business, call us today at (888) 249-6008 or contact us online.